Business slimline. This 10-inch tablet with IPS display, 1280 resolution, wifi, GPS and 3G modem, and 64 GB SSD should delight Lenovo’s ThinkPad customer base. The price: 666 Euros. Matt display? Sadly not. But: a digitizer pen! Heavy, black and hewn from the finest plastics known to man, the ThinkPad Tablet is exactly what you would expect a 'droid tablet carrying the TP moniker to be. The smart and business-like design is complemented by a solid range of physical connectors and the N-trig digitizing pen is sure to find fans, even if it’s not as talented as the Wacom stylus you get with the Samsung Galaxy Note. The only major grumbles are the abysmally quiet speaker and merely adequate battery life. In the grand scheme of things, it would be harsh to completely dismiss the ThinkPad Tablet. While it does have the signature ThinkPad styling that many of us love, there’s sadly no excuse for the poor response time when trying to get any actual work done on the device. Even if Lenovo pushed out ICS to this tablet, I doubt that it would make much of a difference, thanks in part to the unresponsive screen. But on the flip side, it does pack a decent battery life and has a good selection of ports unlike its rivals, not to mention plenty of apps that can cater to the needs of IT Managers and the like. Though the use of the stylus outside of the writing apps is relegated only to navigation, it’s still a worthy contender if paired with a dock or the keyboard folio. But if you’re looking for a tablet purely for its multimedia use, then you might want to give this one a miss. Its chunky profile and weight mean Lenovo’s executive ThinkPad Tablet isn’t for everyone, but its unique combination of class-leading connectivity, ruggedness, charging over USB, a pressure-sensitive stylus and keyboard folio accessory make it the most versatile option on the market. It also offers many business-centric features such as pre-installed Anti-virus and a vetted Lenovo app market that makes for worry-free downloading. As a tablet the Transformer Prime is superior, but if you’re a business user or a consumer who wants a stylus and the best typing experience going, the ThinkPad comes highly recommended. 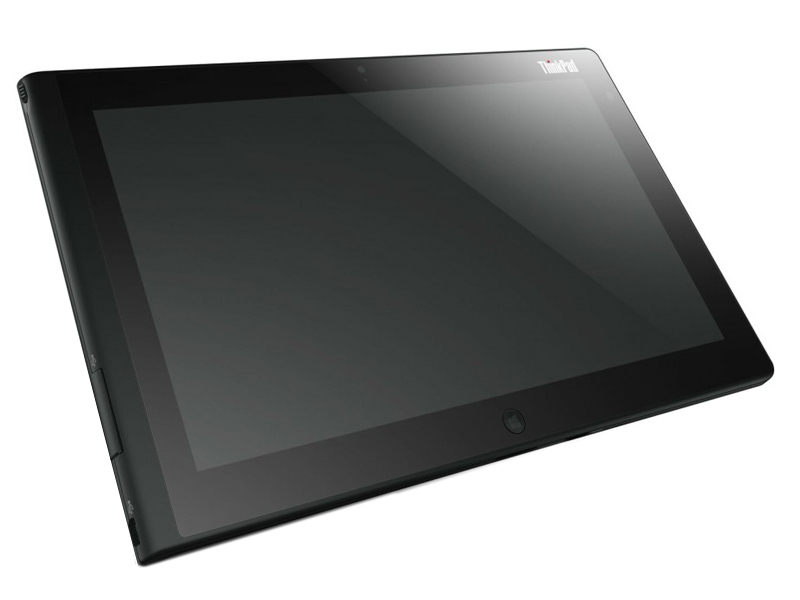 We can’t wait to see a slimmer sequel with Tegra 3 and a Wacom digitizer. Discrete input devices are much more convenient than the touchscreen, especially when a lot of typing is involved (for example e-mail, chatting and word processing). At Rs.44,871 the Lenovo ThinkPad is a little more expensive than the Asus EeePad Transformer. Go in for the ThinkPad, if the digitizer pen is of prime importance to you (for digital art, note taking, etc). Otherwise, the EeePad Transformer offers better value for money with the provision of an additional battery pack and a USB port. Like most products bearing the ThinkPad name, Lenovo's business-oriented Android tablet is a well-built machine with sensible design and software choices. But as far as stability and performance are concerned, the ThinkPad Tablet doesn't live up to its namesake. You do get features like a full-sized USB port, optional cellular connectivity, business-specific apps, and handy add-on accessories that will be appreciated by the corporate crowd. If you're not looking for a tablet for business reasons, but you're a Lenovo fan, the IdeaPad Tablet K1 ($499, 3.5 stars) is a better performer. But overall, it's tough to justify choosing the ThinkPad Tablet over a more powerful device like the Asus Eee Pad Transformer Prime, which has the same base price, a much faster processor, more stable performance, and an add-on dock accessory that turns it into a laptop too. 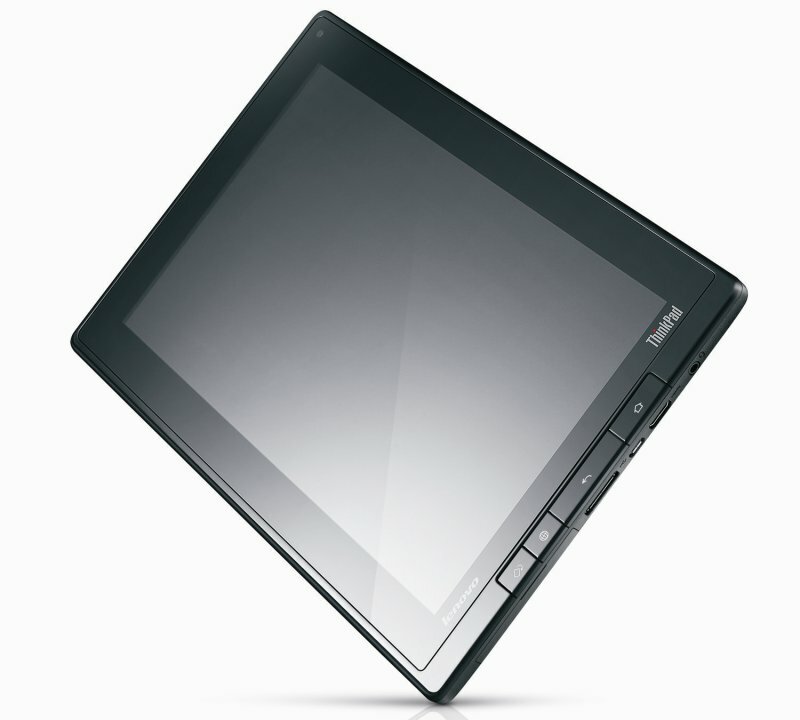 If you are dead-set on the stylus pen, the ThinkPad Tablet could be the Android tablet for you. If you are an IT professional or a ThinkPad fan, again this could be worth your consideration. But if you can stand to wait a bit longer for Tegra 3, I think the performance benefits of four processing cores, improved graphics and Ice Cream Sandwich will be worth the wait. We had high hopes for the ThinkPad Tablet, but overall it's disappointing. It doesn't feel like a distinctively designed tablet aimed specifically at businesses, like the Cisco Cius or the Motorola ET1, but more like yet another half-hearted Android consumer tablet with a few token business features. Bundling the stylus and increasing the poor responsiveness of the interface would go a long way to fixing this, but until that happens there are few reasons to choose the ThinkPad Tablet over the iPad 2 or any other big-name Android tablet. Still, while I love some of this tablet’s features on their own, as a whole the ThinkPad Tablet feels more like a shopping cart filled with options, some of which work, some of which shouldn’t be here, and some of which are full-on failures. Coupled with the premium pricing, it all adds up to a somewhat questionable experience. While the ThinkPad tablet offers a great overall user experience for many users, the added features I just don’t see being all that useful unless you truly need them. I’ve enjoyed the time I’ve spent with it but would be equally happy with the Transformer. On a more business or student side of things this is a great tablet and has enough features to make it worth the added bulk and weight over other tablets on the market. This all comes down to personal needs and someone wanting a tablet will all the options and ports under the sun, that also has stylus input support as well as the latest Android 3.1 Honeycomb — this is the tablet for you. Lenovo brings improvements since the launch of the first generation business-ready ThinkPad Tablets. The current generation, the Lenovo ThinkPad Tablet 2, is ultra slim at only 9.8 mm and 595 g. Its black polycarbonate case with soft touch feel makes it appealing to anyone looking for a high-end business tablet. The Windows 8 system features an anti-reflective 10.1 inch HD LED Backlit IPS display with 720p resolution, which supports five finger touch input. Considering that the tablet is a low-powered Windows 8 tablet, it performs quite well with the Intel Atom Z2760 dual core processor clocked at 1.8 GHz and 2 GB of RAM. Full HD video playback is possible with this tablet as it is equipped with an Intel Integrated HD SGX545 GFx. In addition, it features a 2 MP front camera, an 8 MP rear camera, a dual-array Digital Mic with noise cancellation, and stereo speakers. The primary storage device, a 64 GB SSD, is quite small. Since the tablet is expected to run for 10 hours when fully charged, it can be considered to be sufficient for day-to-day usage. This tablet also comes standard with one USB 2.0 port, a docking port, a mini-HDMI, a microSD slot, Bluetooth 4.0, GPS receiver, and a headphone/microphone jack. 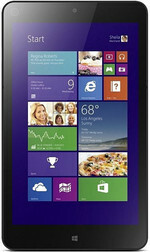 Those looking for an 8-inch Windows 8 tablet for business and pleasure will find the ThinkPad 8 to be a solid choice. The full-HD display and USB 3.0 connectivity -- not to mention the sturdy aluminum backside -- help this slate stand out versus cheaper consumer-oriented options. You also get a fairly sharp 8-MP camera for capturing images in the field. 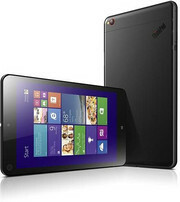 The ThinkPad Tablet 8 is a good Windows tablet that is aimed more at the enterprise than the consumer. From the conservative black casing to the Lenovo utility apps included, the Tablet 8 will be right at home in the enterprise. Positive: Aluminum case; high-quality screen; compact and stylish design. The Lenovo ThinkPad 10 is a business ready 10.1” tablet that allows users to have full PC experience out of the box. The asymmetrical frame design definitely looks different from other tablets nevertheless the aluminum back and Gorilla Glass encased screen makes it feels good in hand. 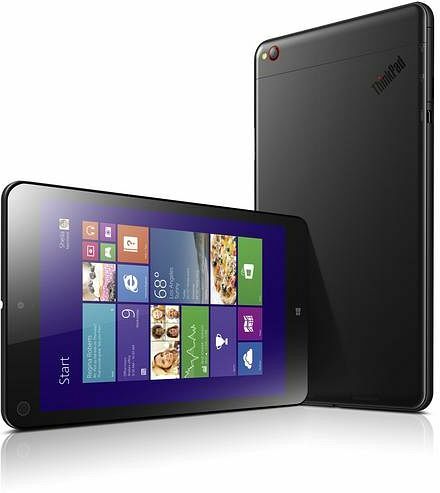 Lenovo ThinkPad 10 is a Windows 8.1 system powered by an Intel Atom Processor Z3795 SoC Quad Core. Depending on the model, the device is shipped with either 2 GB or 4 GB LPDDR3-1067 SDRAM. The graphics processor is an Intel HD Graphics Gen7, which powers the 10.1” (1920 X 1200) WUXGA IPS screen. There are two storage options, which consist of either 64 GB or 128 GB; again depending on the model selected. Even despite sizable storage, Lenovo allows expansion with the use of a MicroSD card. The Lenovo ThinkPad 10 also comes equipped with HD audio with WaveRT for good quality audio. There is an 8 MP rear camera and a 2 MP front facing camera on the device. There is a multitude of accessories that can be connected to the Lenovo ThinkPad 10. The detachable keyboard makes the device more laptop-like and the Quickshot Cover allows the user to take photos with ease. There is no doubt that the Lenovo ThinkPad 10 is more than capable of handling everyday business tasks, especially with the 10 hour rated battery. 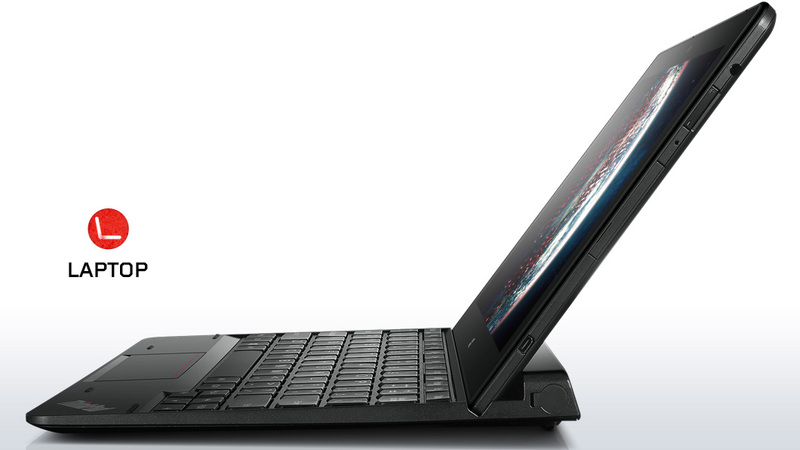 Business tablet reprise… The latest multimode tablet out of Lenovo is the ThinkPad 8’s slightly bigger brother. Can its larger form factor and other design adjustments resolve the limitations of its predecessor? As a tablet in its own right the ThinkPad 10 has a lot to like but is let down by one or two minor niggles, but to be fair some of those are down to Windows rather than the device itself. It’s an attractive business proposition though thanks to the compatibility of its Windows OS, its security features and the availability of accessories that allow you to effectively bridge the laptop/tablet gap. There are no frills here. 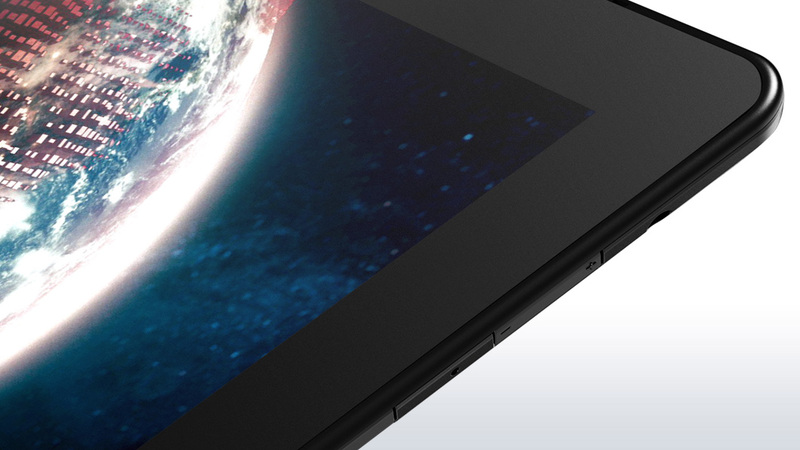 The black on black colour scheme makes the tablet look very sleek, and even the logos on the back are darkened. You’ll certainly get approving nods around the boardroom table if you whip this bad boy out. Sadly, there’s no built in stand or included keyboard – you’ll have to purchase those separately. If you’re after a tablet for general day to day computing – email, web browsing, etc – then for the most part the ThinkPad 10 doesn’t really convince. Despite its impressive build, decent performance and good battery life, the tablet experience on Windows still doesn’t cut it. The sheer flexibility of the ThinkPad 10 ecosystem is appealing for using a single device -- in different configurations -- at home, at the office, or on the road. In practice, I found it worked best paired with the keyboard cover as a coffee shop or airplane seat computer. On its own, it's a harder case to make, but that's largely because Windows 8 has yet to prove it really works as a satisfying full-time tablet OS. The Lenovo ThinkPad 10 Tablet is a very good choice for the business user who needs a Windows 8 system that's a tablet most of the time and a laptop part of the time. Long battery life, a light chassis, and a full HD screen work in its favor. The Dell Venue 11 Pro has a stronger physical connection to its optional keyboard dock, a swappable battery, more versatile micro USB charging, and less expensive base price. Even if you add the optional keyboard to both tablets and account for the additional fee for Windows 8.1 Pro, Dell Venue 11 Pro, at $773.99, is still a better buy than the ThinkPad 10 Tablet at $848.99, and thus remains our Editors' Choice for entry-level business tablets. The Lenovo ThinkPad 10 has enough performance, battery life and functionality to be a strong companion to your business laptop. Though we wish Lenovo would include pen-friendly software, the ThinkPad 10's accurate stylus provides a particularly compelling productivity experience for users who need to work while walking around an office, hospital or factory floor. Lenovo's Thinkpad 10 is a wonderful little Windows tablet, and the keyboard and dock accessories expand its usefulness ten-fold, allowing it to double as a workstation of sorts when needed. The display is exceptionally crisp and bright, and the keyboard dock is very functional -- you can adjust to using it immediately, rather than training your fingers to the often spongy feel of many tablet keyboards. There are no complaints about the Thinkpad 10; if you need a tablet for business or for tasks Android isn't quite up for, Lenovo's newest offering is an excellent choice. 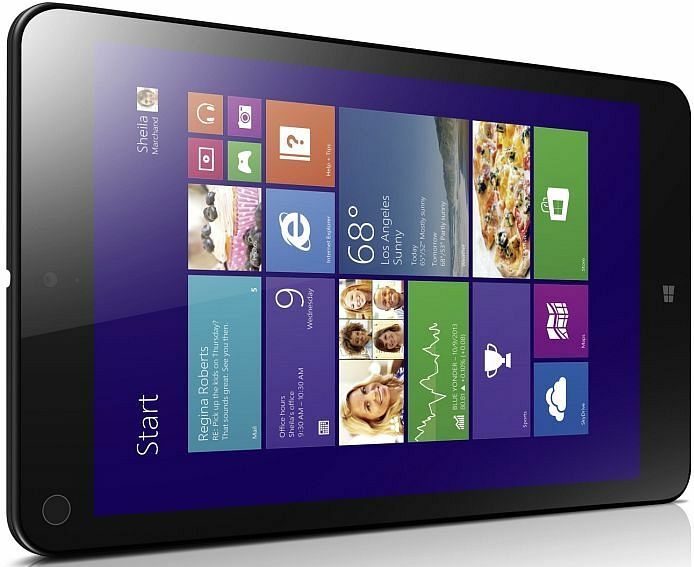 Can a Windows 8.1 tablet truly replace your laptop? Just as Microsoft set to prove it can with its Surface Pro 3, Lenovo also believes it can be done, and its ThinkPad 10 is the tablet it envisions doing it. To some extent, Lenovo succeeds. The 10.1-inch display with its 1920x1200 resolution complements Windows 8.1 nicely, and the Bay Trail platform provides sufficient muscle for general purpose computing chores and productivity software. While it’s a little on the exy side, Lenovo’s ThinkPad 10 is one of the best ultra-portable Windows machines we’ve seen yet, offering a slim design, great screen, and some accessories that really let you bridge the gap between laptop, desktop, and that tablet you prefer to carry. 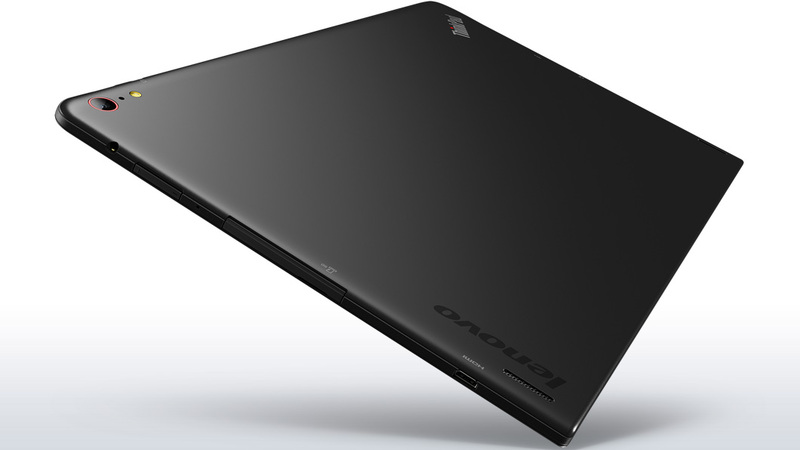 The Lenovo ThinkPad 10 is a finely designed tablet with a unique means of infiltrating the business market. But will an abundance of accessories be too much for the average employee's shoulder bag? Stay tuned for our full review. Positive: Good price; flexible S pen; decent hardware; good fingerprint sensor. The Lenovo ThinkPad X1 Tablet is a hybrid tablet which is transformable into a tablet, a laptop, a projector or a 3D camera thanks to its detachable keyboard, which includes a trackpad and a trackpoint at the center of the keyboard. Therefore, no mouse is required to use the device. Being lightweight is important for use on the go. The Lenovo ThinkPad X1 Tablet weighs only 1.1 kg including the detachable keyboard, making it one of the lightest device on the go. The Lenovo ThinkPad X1 Tablet is equipped with up to an Intel Core m7 vPro Processor, 16 GB LPDDR3 RAM, a 512 GB SSD and an integrated Intel HD Graphics. Its 12-inch Full HD+ IPS display features a resolution of 2K (2160 x 1440 pixels ) and delivers sharp and clear images. For camera, it features a 8 MP camera with flash, which is capable of 1080p recording. With up to 10 hours battery life, the Lenovo ThinkPad X1 Tablet is truly suitable for on the go usage for a long period of time. As for connectivity, it features WiFi, a USB 3.0 port, a USB Type-C port, a Mini DisplayPort, a microSD port and a Nano SIM port. The ThinkPad X1 Tablet is a peculiar mix of the wonderful and the awkward, then, but how does it stack up against its key rivals, the Microsoft Surface Pro 4 and HP Elite x2 in terms of the overall package? In some ways it surpasses both of them, especially given that neither has the facility to add components in the way the Lenovo ThinkPad X1 does, and it’s a match for both in terms of its ergonomics. The Lenovo ThinkPad X1 Tablet looks great on paper, but the more time we spent with it the more puzzled and unconvinced we were by its flawed conception and design. The existing modules are finicky to dock, expensive and are of limited utility and thus questionable value. For the ThinkPad diehards out there, you've just met the best business-bent tablet that money can buy. However, no product exists in a vacuum. For as impressive as the ThinkPad X1 Tablet is, both Apple and Microsoft still rule the roost when it comes to ergonomics and cost-effectiveness. Unless you're running several presentations a day on the go or have incredible love and loyalty for AccuType keyboards, there isn't a terribly compelling reason to buy this tablet over either Microsoft or Apple's. The Lenovo ThinkPad X1 Tablet surpasses its rivals in more ways than one, but is held back by just a couple of flaws. Its sheer upgradability is the star here, with plenty of add-ons and extras you can get with it, something the likes of the Surface Pro 4 and HP Elite X2 don’t have. The X1 Tablet is near flawless in its design too, with fantastic ergonomics paired with its super slim and lightweight portability. There are some parts of the design that are a bit clunky, especially considering how awkward it is to attach any of the extras, but those are options some many never have to engage with. The ThinkPad X1 Tablet is a peculiar mix of the wonderful and the awkward, then, but how does it stack up against its key rivals, the Microsoft Surface Pro 4 and HP Elite X2 in terms of the overall package? In some ways it surpasses both of them, especially given that neither has the facility to add components in the way the Lenovo ThinkPad X1 does, and it's a match for both in terms of its ergonomics. Microsoft deserves credit for popularizing and, to a great extent, legitimizing the 2-in-1 category, which is beginning to take the place of dedicated tablets. Why buy a standalone slate when you can have a tablet that doubles as a laptop? However, it's hardware partners like Lenovo that are making the category more interesting, and that's certainly true of the ThinkPad X1 Tablet with its modular approach to computing. The ThinkPad X1 Tablet is not a perfect 2-in-1, but it is a very good one. It competes with or exceeds the Surface Pro 4 on almost every benchmark, and offers a much nicer keyboard. In some ways, the ThinkPad X1 even manages to compete with the Surface Book, with similar processing power and graphics capability fit into a much smaller form factor. The Lenovo ThinkPad X1 Tablet could also be called the Surface Pro 4 ThinkPad Edition. It takes everything we love about Microsoft’s Windows 10 two-in-one and adds a ThinkPad twist. There’s a lot to like here. The build quality is superb, and the full complement of ports, including USB Type-C, can’t be beat. The mobile keyboard is one of the better we’ve tested, and ThinkPad fans will love the inclusion of the trackpoint. The modular expansions also give the ThinkPad X1 Tablet unique features unrivaled by other devices. The X1 Tablet is wonderfully designed and is one of the most pleasant two-in-one devices I've ever typed on. The keyboard is every bit as useable as what you get on the fourth-generation X1 Carbon -- in fact, when propped up on a table, you can't tell the difference between typing on a Lenovo laptop and typing on the convertible tablet system. The arrangement has the same limitations as any 2-in-1 tablet/keyboard setup -- you won't be able to type on it if you're not at a desk/table, namely. Those who are familiar with 2-in-1 tablets in general will find the X1 Tablet to be one of the best offerings currently on the market. The Lenovo ThinkPad X1 Tablet is a thoroughly modern tablet with a slim and light design and a simple yet sturdy keyboard connection. Optional modules seem to be the in thing for 2016 with everything from smartphones to tablets offering some kind of add-on functionality for a price. The Productivity module is likely to be the most popular since it increases battery life and adds a few key ports. Overall, the ThinkPad X1 is one of the best business 2-in-1s yet. Unlike the Surface Pro 4, the Lenovo comes with a keyboard. Plus, the Lenovo's display is one of the best on the market and its performance (at least with Core m7) stacks up well against the competition. The modules are a cool idea, and adding the $150 backup battery provides a huge advantage over the X1's competitors. My processor concerns aside, the Thinkpad X1 Tablet is a fairly compelling device. Thanks to its modular focus, the tablet has the potential to be one of the most flexible prosumer devices around. However, with pricing starting at $899 it’s entering a pretty competitive space of the market, which is currently dominated by powerhouse devices such as the iPad Pro and Surface Pro 4. Positive: Good design; robust case; compact size and lightweight; decent hardware. Negative: Mediocre battery life. 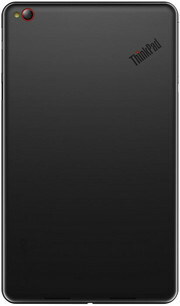 Positive: Very bright screen; good performance; excellent battery life. Negative: Mediocre autonomy without extended battery. Positive: Interchangeable modules; the ability to connect the dock; comfortable and backlit keyboard; TrackPoint; extending stand; good quality display. Negative: Hot under load; high price. Positive: Excellent IPS display; ergonomic keyboard; stylus supplied; good performance; decent amount of RAM and a fast SSD. Positive: Nice display; high autonomy. Negative: Average performance; relatively high price. Positive: Solid workmanship; compact size. Negative: Plastic case. 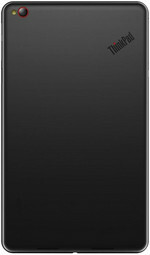 Lenovo announced the third generation of the Thinkpad X1 Tablet back in February 2018 and subsequently, launched it in mid-March 2018. 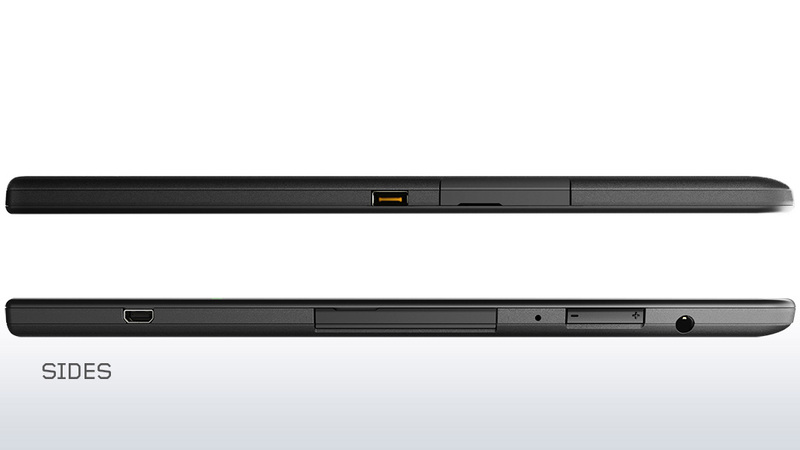 The latest generation of the ThinkPad X1 Tablet now comes with a detachable keyboard cover and a stylus pen. This hybrid 2-in-1 laptop also has an adjustable kickstand to help the table to stand on its own. Besides the usual trackpad, the keyboard comes equipped with Lenovo's signature TrackPoint pointing device. 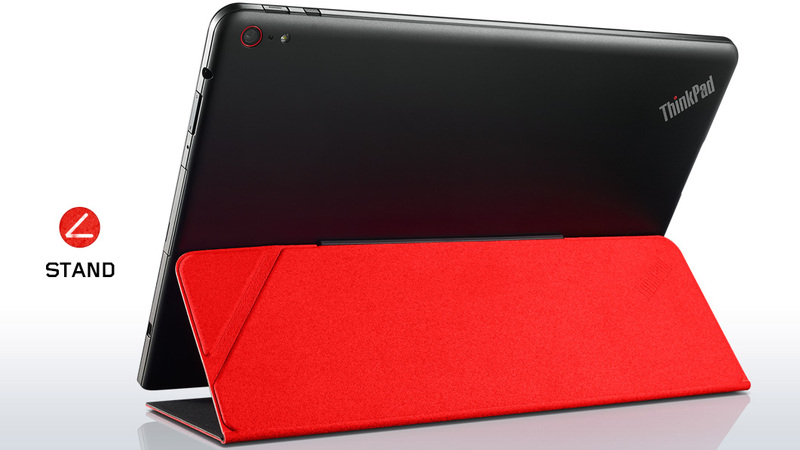 The luxurious Lenovo ThinkPad X1 tablet is a hybrid device. For those unfamiliar with the term, this means that the screen is detachable from its keyboard counterpart and you get to use it as a tablet then. Put it back on with the keyboard, and you have yourself a working laptop. This high-end hybrid's 13-inch screen comes in a lavish 3K screen with a resolution of 3,000 x 2,000 pixels, and that's a lot of pixels for a small 13-inch display. Lenovo also has chosen to use a Gorilla Corning Glass on the screen for extra durability. As for the hardware that runs this luxurious tablet, it comes equipped with an Intel i5-8250U processor, a massive 16 GB RAM, a speedy 512 GB SSD of storage capacity and an Intel UHD 620 graphics card. These hardware specifications may not sound extraordinary for a laptop, however, do bear in mind that the ThinkPad X1 tablet is a hybrid device and that makes it is a very powerful tablet. Like most modern tablets, the ThinkPad X1 comes with two cameras - front and rear. The front camera has an underwhelming 2 MP sensor, and the rear camera fares a little better with an 8 MP sensor. The cameras are not the best, but they are positively sufficient. There is also an option to add an IR camera to the tablet for the Facial Recognition feature. As for the sound system, the quality and the volume of the sound seems to be on the lower end of the spectrum. Fortunately, this is easily rectifiable with a headphone or an external speaker. Input ports wise, the Lenovo Thinkpad X1 Tablet has only a few to its name. The device comes with two Thunderbolt 3 ports, a Kensington lock slot, a microSD card reader, a combo headphone/mic jack, and surprisingly, a built-in nano sim card slot. Unfortunately, there are no UBS ports on the device, so users may have to resort to Bluetooth to connect to other additional devices. Weighing at under 1.5 kg with the keyboard attached and only 8.9 mm in height, the ThinkPad X1 Tablet is clearly very light in chassis but not in its performance. Overall, the third generation of the Lenovo Thinkpad X1 performs like a beast, thanks to the very powerful selection of hardware that the manufacturer outfitted it with. The case is made of magnesium and aluminum. www.windowscentral.com evaluates, “There's not much flex at all in the body despite the thinness, and all the lines flow together well.”. While www.laptopmag.com says the magnetic kickstand can be opened by up to 160 degrees, www.windowscentral.com speaks of 170 degrees of motion. The kickstand horizontally divides the rear side in two halves. According to www.slashgear.com it feels durable and accommodates multiple angles. The included detachable keyboard is connected to the tablet with strong magnets. According to www.zdnet.com you can even carry the whole unit around by the screen, with the keyboard dangling below (not recommended). The keyboard can be positioned flat on a surface or tilted upwards. 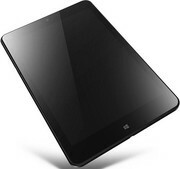 The tablet measures at 30.4 x 22.56 x 0.89 cm without keyboard and weighs from 890 gram according to the manufacturer. With keyboard, the height increases to 1.51 cm and the weight to 1.27 kg. According to www.laptopmag.com the X1 Tablet ranks as one of the thinnest in its class but also the second heaviest of their comparison group (Dell Latitude 7390 2-in-, Samsung Notebook 9 Pen, Microsoft Surface Pro). A stylus is included. It can be stored in a holder under the kickstand. www.laptopmag.com complains that the pen holder is too flimsy and does not even look like it is the right size for the stylus. www.neowin.net confirms that the pen frequently falls out of its holster, and complains that it blocks the volume rocker. www.zdnet.com agrees that the volume rocker is inaccessible when the ThinkPad Pen Pro is in its holder, but finds, “The ThinkPad Pen Pro wedges into the holder quite tightly, which is good in that it's less likely to drop out of the holder of its own accord and get lost, but bad in that it takes quite a yank to get the pen out, ready for use.”. The X1 Tablet features two Thunderbolt 3 ports (with power supply), a 4-in-1 microSD card reader, a headphone/microphone combo audio jack, and a nano SIM slot. When compared to the predecessor, the USB Type-A port disappeared. Hence, you will need an adapter for connecting devices with Type-A plug. www.zdnet.com, www.onmsft.com, and www.neowin.net describe that a paper-clip or a SIM tool is needed to pop out the tray from the SD/SIM card slot, which is not ideal when you frequently use different microSD cards. The device can connect to networks via its Intel Dual Band Wireless-AC 8265 (2x2) Wi-Fi card, which also supports Bluetooth 4.2. Optionally, it supports LTE-A and NFC (only models without infrared camera). 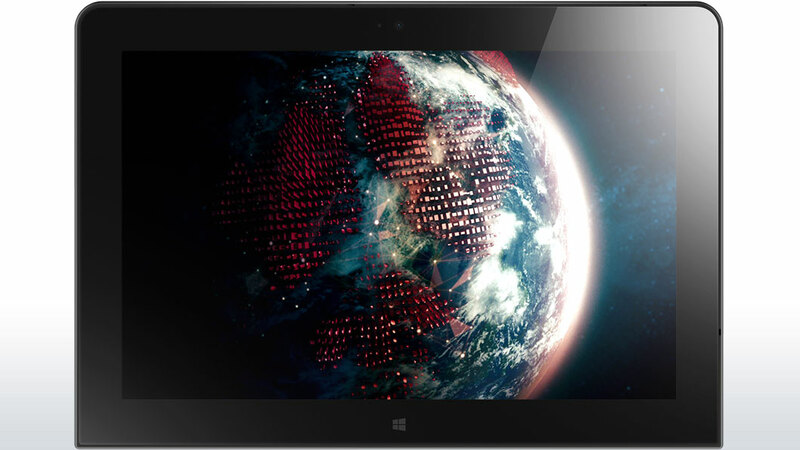 The X1 Tablet has been tested for durability according to MIL-STD 810G standards. Its display is protected by Gorilla Glass 4. For security, it features Fast Identity Online (FIDO) certification, a dedicated TPM 2.0 chip, a fingerprint sensor, and a Kensington security lock slot. An infrared camera with Windows Hello support is optional. www.onmsft.com finds the fingerprint reader is ideally located for Windows Hello and was speedy and fast for all logins. www.windowscentral.com reports that the back panel, which is fixed with six screws, can be removed in order to gain access to battery and SSD. They says that the SSD can be swapped, but the RAM is soldered onto the board. There are two cameras, a 2 MP front camera and a 8 MP rear camera. 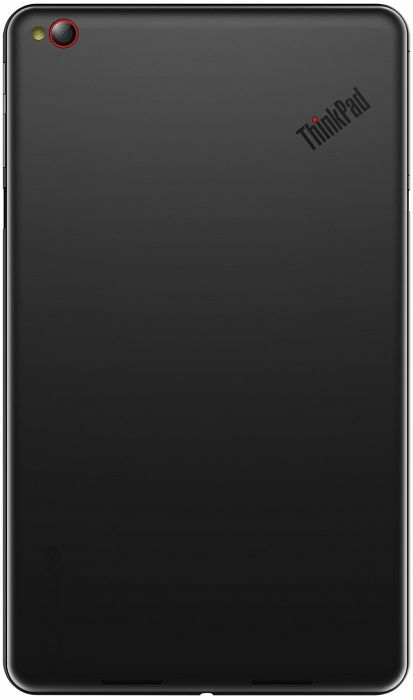 According to www.laptopmag.com the 8 MP rear camera's quality was crisp, and the colors felt dynamic and details are recognizable in the front camera’s shots despite its lack of sharpness and washed-out color. www.windowscentral.com confirms that the front camera does a decent job grabbing stills or videos. For www.laptopmag.com, the island-style keyboard with backlight is clicky and responsive despite short travel of 1.3 mm. They report 61 grams of actuation force. The detachable keyboard can be placed flat or tilted. www.laptopmag.com thinks that both positions are very comfortable to use, especially due to the soft palm rest. However, they criticize the lack of an assigned key to control the backlight so that you have to control it via Lenovo's Vantage toolbar and the function key's placement before the control key. For www.slashgear.com, the detachable keyboard is stiff and feels indistinguishable from using a ThinkPad laptop. www.windowscentral.com finds it is a true ThinkPad keyboard complete with cupped keys and a comfortable typing experience. uk.pcmag.com complains about shallow travel and dim backlight and praises the solid, responsive typing feel. www.onmsft.com reports that as Lenovo’s keyboard is proprietary and Windows 10 treats it as a separate attachment pressing keys won’t wake the device from sleep. 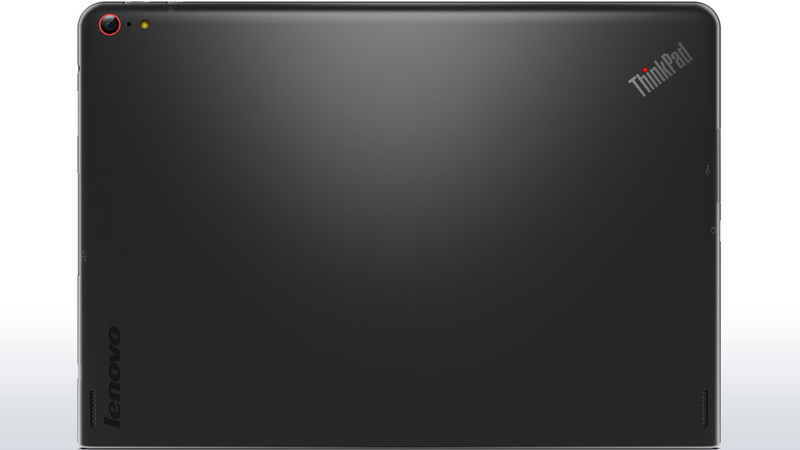 According to www.laptopmag.com, the touchpad is soft and comfortable to use. www.slashgear.com finds Trackpad and TrackPoint performance are excellent. The tester from www.windowscentral.com says, “A large Precision touchpad resides just below the physical buttons; its mylar surface slides and tracks well and I appreciate the size, but I often found that there was some lag between my input and my cursor.”. The ThinkPad Pen Pro stylus is included for use with the touch screen. It supports up to 4,096 levels of pressure sensitivity. According to www.laptopmag.com the stylus accurately tracks and pressure even changed the thickness of the ink. The stylus features two clickers with completely customizable functionality. In www.slashgear.com’s opinion the stylus performance is great, but lack of friction makes long-form handwriting difficult. uk.pcmag.com thinks the pen's tracery on the screen yields a slick and glassy, rather than paper-like, feel. The ThinkPad X1 Tablet comes with up to an 8th generation Intel Core i7 vPro or Intel Core i7 and 8 or 16 GB LPDDR3 1,866 MHz RAM. In all variants the integrated Intel HD 620 is responsible for graphics. The laptop’s M.2 PCIe NVMe SSD is OPAL 2.0-capable. It has a capacity of either 256 GB, 512 GB, or 1 TB. Thanks to the U-series processors, performance improved when compared to the 2nd generation of the ThinkPad X1 Tablets, which used Y-series processors. www.laptopmag.com tested a model with 8th Gen Intel Core i5-8250U processor, 8 GB of RAM, a 512 GB SSD and an Intel UHD 620 graphics card. In their tests, it achieved a score of 1123 in 3DMark Fire Strike and 12,772 in Geekbench 4 overall performance test. www.slashgear.com’s review unit featured an 8th-gen Intel Core i7-8650U processor and 16 GB of RAM. They summarize, “Performance is snappy and without issues. Multitasking, including streaming videos and music, editing images, keeping 12+ browser tabs open, and running multiple applications presented no issues.”. In uk.pcmag.com’s PCMark 8 office productivity benchmark their test unit (Core i5-8250U, 8 GB of RAM 256 GB SSD) achieved 2,873 points. www.goodgearguide.com.au got 2,774 points in PCMark 8 Work 2.0 (native resolution), 3,423 points in PCMark 10, 2920 points in PCMark 8 Home 3.0 (native resolution), 3261 points in PCMark 8 Creative 3.0 (native resolution), and 457 points in Cinebench R15 Image Processing (All Threads) for a model with Core i5-8250U. www.neowin.net tested a Core i7-8650U model, which achieved 2847 points in PCMark 8 Home, 3522 points in PCMark 8 Creative, and 3301 points in PCMark 8 Work. All things considered, this device has been made for productivity. It is not suitable for graphic intensive tasks such as demanding gaming. The durable ThinkPad X1 Tablet (3rd Gen) features solid performance, a bright and vivid display, a great keyboard and stylus, and impressive webcams. Many online magazines complain about its battery life, pen slot, and sound. Lenovo sells the ThinkPad X1 Tablet (3rd Gen) from $1,269.00 in the US and from € 1,646.43 in Austria. For this price you will get an Intel Core i5-8250U, 8 GB of RAM, and a 256 GB SSD. They charge from $2,132.10 / € 2,261.62 for variants with Core i7-8650U processor. Competitors are the Dell Latitude 7390 2-in-1 (thicker, heavier, higher sRGB coverage, darker display, better battery life), the Samsung Notebook 9 Pen (lighter, thicker, higher sRGB coverage, darker display) and the Microsoft Surface Pro (lighter, higher sRGB coverage). www.goodgearguide.com.au thinks that among pro-level tablets HP’s latest Spectre x2 and the cheaper Samsung Galaxy Book are worth a look, too. Intel HD Graphics 515: Integrated GPU (GT2) with 24 EUs found on Core-m-CPUs of the Skylake generation (4,5 W TDP).Intel HD Graphics 405 (Braswell): Integrated graphics card in the Intel Braswell series (2016 Pentium) processors. Based on the Broadwell architecture (Intel Gen8) supporting DirectX 11.2. Depending on the processor offers 16 shader cores (EU) and different clock speed.Intel HD Graphics 615: Integrated graphics card in some Kaby Lake Y-series processors (4.5 Watt TDP) with 24 EUs (GT2) and no dedicated graphics memory. Clocks with Update to 1050 MHz depending on the CPU Model.Modern games should be playable with these graphics cards at low settings and resolutions. Casual gamers may be happy with these cards. 2 (250): SoC (System on a Chip) with a integrated Corex A9 Dual-Core, GeForce ULP and other dedicated subprocessors (Audio, Video).Intel Atom: The Intel Atom series is a 64-Bit (not every model supports 64bit) microprocessor for cheap and small notebooks (so called netbooks), MIDs, or UMPCs. The speciality of the new architecture is the "in order" execution (instead of the usual and faster "out of order" execution). Therefore, the transistor count of the Atom series is much lower and, thus, cheaper to produce. Furthermore, the power consumption is very low. The performance per Megahertz is therfore worse than the old Pentium 3M (1,2 GHz on par with a 1.6 GHz Atom). Z8700: Soc with an integrated quad core Atom processor clocked at 1.6 - 2.4 GHz, an Intel HD Graphics GPU and a dual channel LPDDR3-1600 memory controller.Intel Core i7: The Intel Core i7 for laptops is based on the LG1156 Core i5/i7 CPU for desktops. The base clock speed of the CPUs is relatively low, but because of a huge Turbo mode, the cores can dynamically overclock to up to 3.2 GHz (920XM). Therefore, the CPU can be as fast as high clocked dual-core CPUs (using single threaded applications) but still offer the advantage of 4 cores. Because of the large TDP of 45 W / 55 W, the CPU is only intended for large laptops. 78.23%: This rating is not convincing. The laptop is evaluated below average, this is not really a recommendation for purchase.» Further information can be found in our Notebook Purchase Guide.